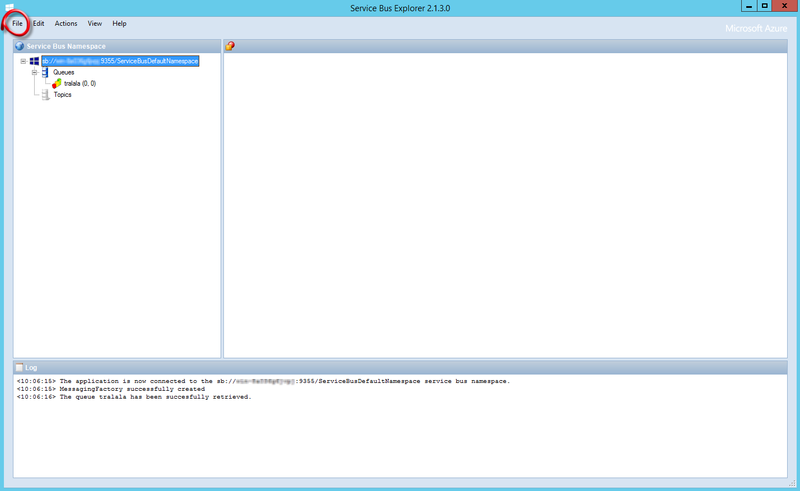 In one of our projects we started using Service Bus for Windows Server 1.1. After the installation and configuration we searched for a tool to visualize the local Service Bus instance (i.e. queues, topics, messages, …). One of the tools that allow such a visualization is Service Bus Explorer. First we downloaded and run the most recent version of Service Bus Explorer (Version 3.0.4). 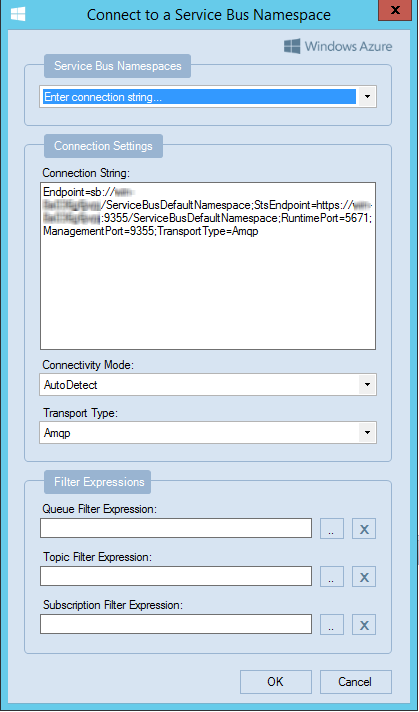 After connecting to the local Service Bus instance no queues and topics showed up. The problem is, that Service Bus Explorer 3.0.4 is not compatible with Service Bus 1.1, as written in the introduction. Afterwards we installed Service Bus Explorer Service Bus Explorer 2.1.3.0 and when we connected to the local Service Bus instance all the queues an topics showed up. The subsequent section will provide you the necessary steps to get Service Bus Explorer 2.1.3.0 connected to your local Service Bus instance.